5th sentence, 74th page: So may each year be happier than the last, and not the meanest of our brethren or sisterhood debarred their rightful share, in what our Great Creator formed them to enjoy. It took me a little more to get into this than A Christmas Carol. Probably because A Christmas Carol is a story that I already know and love from the many different adaptations that I’ve watched. 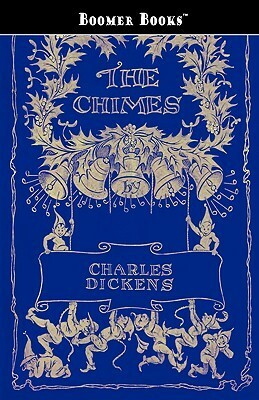 The Chimes on the other hand isn’t a storyline that I’ve ever read before or heard of. Another reason I struggled to get into this story was because of the way that Toby is shamed in the first quarter for being poor. Although this is a technique utilised to highlight the Christmas spirit amongst the bells and chimes later, I found it a little hard to swallow. Until the last quarter, then I loved the way that the spirits and chimes all worked together to remind us of the Christmas spirit. The Chimes works as a great way to remind us that it is the spirit of giving and love that is what should truly define the holiday season. Not how much money you have and what you can give people.